It is a universal fact, that boiled water drinking will keep you healthy and fit. Hot water or boiled water makes sure that none of the heavy or harmful substances doesn’t enter your body. We all love cold water. Even if we are not advised to consume cold water- we still do! Hence, both these categories can be satisfied with the help of water purifiers. 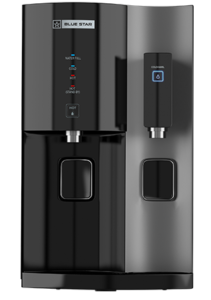 Hot and cold water dispenser with an RO system is the perfect choice if you belong to both hot and cold water categories. You will surely be mesmerized with the compact and the style of the water purifier. This is a perfect choice for people who prefer hot or boiled water. AO Smith is unique when it comes to providing hot water with different temperatures- one at 45 degrees and other at 80 degrees C. It is said that RO water purifiers waste a lot of water in the process of purification. 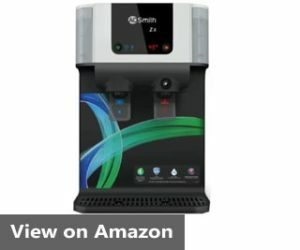 But, AO Smith arrives with an advanced recovery technology that saves more than two times of the water in the purification process. LG’s water purifier with hot and cold water dispenser model is perfect for the Indian homes, as the hot and cold water dispenser lets you feel both the worlds of hot and cold water, just in a single switch. The water temperature can be adjusted between 5 degrees to 90 degrees C, which is the ultimate combination for any home or office. The RO filtration system helps in removing the bacteria and viruses that cause diseases, and harmful heavy metals such as arsenic and lead. It has a 4 stage purification system. Bluestar is already a top brand in the Indian market. It is one of the popularly reputed brands for the home and kitchen appliances in the country. The product arrives with a 5 stage water purification process. The product also comes with an integrated pre and post activated carbon filters. It also comes with the sediment filter that detects and removes the huge bad materials from the drinking water. Hence, this process ensures the RO membrane from getting damaged and protects for the longer duration. You can simply make soups and tea with the help of Stella as it provides hot water instantly. Stella is one of the best water purifiers with hot and cold water dispenser. LivPure is one of the most trustworthy hot and cold water dispensers in the Indian market. It arrives with the latest RO technology specially designed for the Indian houses. It automatically combines the creativity and class in providing the highest quality water purifier to the Indian consumers. The built-in controls and manages the water level in the tank. LivPure Knight arrives with the 7 stage water purification technology. Hence, it ensures that there is no scale deposit over the layers of the membrane. Choose and buy the best today! The above-mentioned water purifiers are some of the best water purifiers with hot and cold water dispensers. Choose the right purifier for your home today. 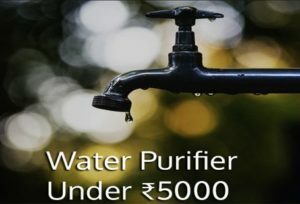 You can also check out Water Purifiers under 5000 for buying under budget. Total Dissolved Salts is also known as TDS. It is the most commonly discussed appellation when you discuss Water Purification. One of the best health drink that you can anyone and everyone can drink is water. Water contains no fats with zero cholesterol. There is an extreme level of chemicals, hazardous elements and Total Dissolved salts (TDS). The pure water contains hydrogen of 2 atoms and oxygen of 1 atom. The water that is availed from the natural sources such as lakes, river, groundwater, and others doesn’t adapt to the H2O formula. Water doesn’t confirm the formula as it contains heavy inorganic salts, and one of them is Total Dissolved Salts. Of course, there are other organic particles such as calcium, potassium, magnesium, nitrates, carbonates, sulphates, and many other salts. You a human body needs a majority of these salts for proper growth and development. Your drinking water should have a sure amount of all these salts. But did you know water contains other harmful elements such as lead, arsenic, or sometimes mercury too? You know already that these elements are too dangerous for any living body. Total dissolved salts can be consumed up to a certain level, but not these elements. A human body can consume up to 500 ppm of TDS levels, but when the level increases it becomes risky for any human health. So, what if the TDS levels in drinking water increases? You can simply measure the TDS levels with total dissolved solids meter. It is very simple and easy to remove the TDS elements from the drinking water by using the water purifiers. Did you know Indians are drinking the water that has an extreme level of TDS levels due to the scarcity of water in the country? How to reduce the Total Dissolved Salts in water? There are abundant RO water purifiers that are available online; it will simply reduce or eliminate the TDS volumes in the drinking water. The commonly preferred water purifier technologies are Reverse Osmosis, Activated carbon filtration, Deionization, and distillation. The carbon filtration absorbs a lot of toxic compounds that are present in the water. 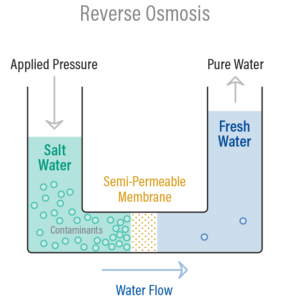 Reverse Osmosis is the most popularly used filtration system that will remove the dissolved impurities from the water. But RO needs a plenty of water to dissolve the contaminants. The RO purification system demands a lot of water wastage as well. Hence, if you are buying an RO filter, make sure that you don’t throw off the dirty water, instead use it for household cleaning purposes. Distillation is the process of water boiling and passing the water vapour to the cooling level, and then again reverse the water back to liquid. It is the oldest method of water purification being practised since ages. You will be able to find many options and choice as per your convenience. Of course, you will have to purchase a purification technology system as per the water source that you receive and obviously the TDS levels in the water. 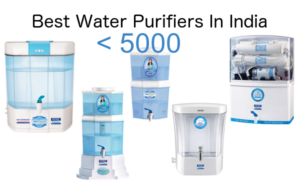 You can check out Water Purifiers under 5000 to get your best water purification under budget. 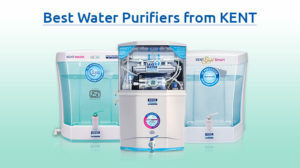 Kent water purifiers are one of the reputed brands in the Indian market. 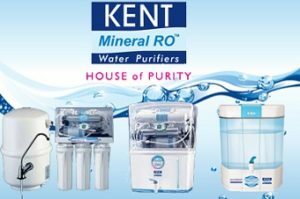 Kent purifiers are associated with Mineral RO Technology which balances the necessary minerals. The purifier’s technology filters out the dissolved impurities and salt in the water. The Kent water purifiers arrive with RO+UV+UF technologies only. These Kent models have the best of their technologies under a certain budget. Check out the best Kent water purifier price list and choose your make. It is one of the renowned models in the Indian market. Kent Grand Plus is one of the highly rated brands in the country. The product features Ultrafiltration, Reverse Osmosis, and Ultraviolet Technologies. The RO membrane removes all the harmful and hard metals that are dissolved already in the water. Kent water purifier can be easily bought online. You will find the Kent Water Purifier price list on their official website. Kent supreme water purifier comes with supreme technology purifier that also enables zero water wastage. You don’t have to worry about the RO membrane, as it washes automatically. The brand claims that more than 60% of the water intake will be recovered as purified and clean water. It stores the impure water in the reject water tank that can be later used for other household purposes. One of the best Kent water purifiers is Kent superb smart. The Kent superb model is the high-quality water purifier that arrives with a blend of UV+UF+RO with perfect TDS controller. It purifies water from space such as borewell and tanks. Kent superb not only eliminates germs but also eradicates all sorts of chemicals and pesticides that were used to treat the water. You can simply know the price and other in-depth information from their official website. You can see that the product storage capacity is 8Litres. All models of Kent arrive with RO and UV technologies, so is Kent Pearl. The key features of the model sport a UV change and a filter change alarm that would notify you for every alteration. If you don’t change the filters in the next 60 hours of the alarm then the filter will stop operating. You will get free service for a year with zero installation charges. Kent Prime comes with high-quality domestic water purifying technology that will provide completely safe and pure water. Mineral RO technology is used to purify the input water. Like other models of Kent, Prime has the most advanced Reverse Osmosis membrane, Ultraviolet lamp, and Ultrafiltration. The TDS controller in the product ensures that there are abundant pure minerals in the water.